I was in need of a good romance, especially a good paranormal romance. Then Ms. Callihan came and made it all better with her Firelight and Moonglow books. (review of Firelight) Original and well written, she is right at the top of my list! Seriously, how could I have a list without Mr. Martin? A Song of Ice and Fire has been a real joy to read (though where I am right now seems to be dragging cough), and my favorite part about it is that it gives me great things to talk about with people. Most people I know either watched the show or read the books or both. It's a great fantasy series without a main character (I will fight you if you try to tell me X is the main character, because you are wrong :) ). You know, I had to go back through my Goodreads shelf to make sure that I started reading Ms. Milan this year. It's true. It was a while back, but I discovered her this year. She is a very talented author, and though her characters have been hit or miss for me, I still regard her as one of the best in the genre. In fact I am ecstatic to hear that her next book came out two days ago starting her new series! If I hadn't spent a ton of money on books already thus far, I would so be all over her book... I still may. Oh Ms. Long. The Pennyroyal Green series about two families has also been hit and miss. But the last one I read was so enchanting, it almost makes me forgive I Kissed An Earl (review). Regardless, her Regency historicals I have been steadily reading throughout the year. If they were truly bad I would have stopped a while ago. Oh, who am I kidding! I need to find out what will happen between Olivia and Lyon! Now we move on to the people who I have only read book of but really have high hopes for book two. Like Ms. Meyer. Cinder (review) was probably my favorite YA novel that I read last year. It was so darn creative! I await anxiously book two in this fantastic series! Which hopefully is coming soon next year? Oh Ms. Ashton. Author of a pretty unique take on Greek mythos, Everneath (review). I am extremely curious to see where she takes this story. I am pretty sure I gave this one four stars, but part of me is giving it the side eye depending on how book two goes. I have high hopes! It's a crime that I have only read one of the books in Ms. Brook's series, The Iron Duke (review). The third one came out this year, but alas I am behind in this series because I was so busy stumbling into other series! The same "Woe! Why isn't there enough time?!" goes for Ms. Stone. I read the first book in her dreadfully unique Victorian romance series and was skeptical of all the historical details so much that I stopped reading to look them up and find out that she was indeed correct. I have been wanting to read book two ever since I saw Hysteria and have yet to get to it. The last coveted spot on my list I am going to give to Ms. Spotswood. I read Born Wicked (review) back in the beginning of the year and liked it well enough. It was another unique premise for me to read and another one that hinges on what happens next. Only 2013 will tell! 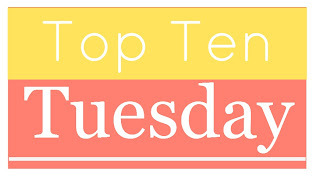 Link up your lists people, so we all can get new authors to try in 2013! Marissa Meyer was new to me too and I'm in love, seriously one of my favs this year! And I think I'm going to have to read Brodi Ashton next after I finish the current stack I've check our from the library I've heard so many good things and I've developed quite the soft spot for greek mythology inspired stuff. Sorry for the double link! My co-blogger and I linked the post separately-and then emailed each other we had done it. Oops! Marissa Meyer and Jessica Spotswood are great picks! Unfortunately I am that rare person who does not like A Game of Thrones. I completely understand why you wouldnt though. If I were a literature student or had any motivation I would write an essay on why I think 1)A Song of Ice and Fire has no main character and thus 2)no everyman for the reader to connect with. I absolutely loved Cinder and was crazy surprised at just how much. The synopsis sounded too sci-fi-ish for me, but it wasn't at all. I still would like to read Wicked. It is good to know that Jessica Spotswood made your list. We have Marissa Meyer in common & I suspect she'll be a popular choice this week. Good call on Meljean Brook and Jessica Spotswood too! I also have Marissa Myers on my list! I am so looking forward to Scarlet! Here are my favorite new authors of 2012. Courtney Milan and Julie Anne Long were both on my list, too! Great choices! :) I have never read anything by the others, though. Clearly, I should check them out! I can't believe I went so long not reading either of their books, especially Long who is what 6 or 7 books deep into Pennyroyal Green? Insane! I must have been under a rock! I know! I am usually fairly up to date on the "bigger" historical romance authors. If nothing else, I've at least seen them mentioned a time or two, so I recognize their name. I had heard nothing - to my recollection, anyway - about Long until What I Did was on sale for $.99. Best discovery ever! Apart from George R. R. Martin I haven't read (or heard of) any of your authors, but now I have more to explore! Marissa Meyer was on my list too. Loved Cinder! Can't wait for Scarlet. I'm so sorry I had to post a duplicate. I normally link up on my phone but someone bumped me and my first link (#66) was not a link at all. My real link is #70. Thank you for your patience. Oh I had Marissa Meyer on my list and if I hadn't "met" Brodi Ashton's amazing books I'd have had her on the list too! I totally have to read something by George R.R. Martin and Jessica Spotswood. I can't believe I've never read either of their books yet. And I must totally check out one of Courtney Milan's book. What an awesome list you have! Totally diverse listing of authors. Hope you meet 10 new and exciting authors' books in 2013! I don't really know about any of the authors on your list, but I think I'll be adding some new books to my TBR list now! ASoIaF is such an investment to get into but totally worth it. I want to catch up so badly so I can watch the series! I can't watch it until I am caught up because I dont want to lose the images in my head, you know? I think I only recognize three names on your list! I'll have to check out the others. Making my list was harder than I expected it would be. I haven't read any of these authors yet... maybe I'll get to 'meet' some of them in 2013. I hate to admit it, but I haven't read George R. R. Martin yet. He is on my list for new authors in 2013! I've been wanting to read Cinder. I keep hearing such good things about the book. George R.R. Martin is on my list too! I loved Game of Thrones and can't wait to read the rest of the series! Oh my goodness, all the authors on your list are still new to me! At first, I thought I'd have trouble actually getting 10 new authors on my list, but that was the easy part this week! GRRM is on my list too! I haven't heard of anybody else on your list though, lol - they're all new to me! 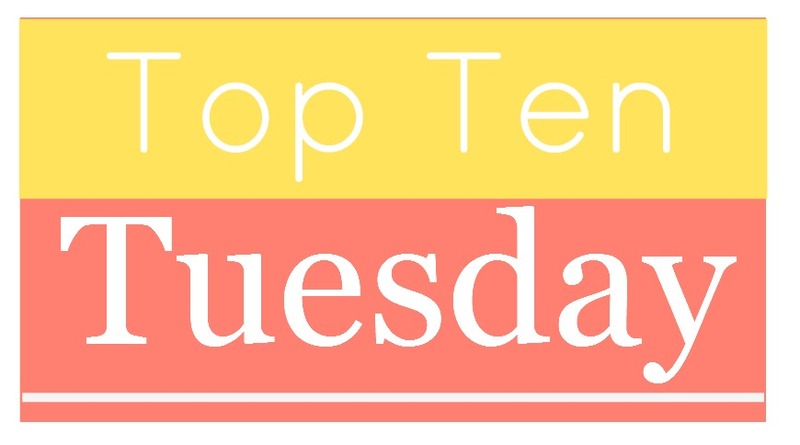 I haven't done a Top Ten Tuesday in a while, but I really liked this topic! Thanks! I haven't read even one author on your list! Even though I do own Cinder, I haven't had a chance to get to it yet. A Song of Fire & Ice is on my reading list...I feel so behind! Sigh...but great list all around! Thanks for sharing & for hosting!! You'll have to keep us posted on how you like the rest of the Game of Thrones series. I don't mind an ensemble cast at all... But he just keeps adding to it as the books go on! It's hard to keep track. More Starks! More Lannisters! Less Dorne! Marissa Meyer is also on my list. Great author! I can't wait for Scarlet. You have a few authors on your list I want to check out like Martin and Meyer, though I haven't read anything by anyone on your list yet. Great list! Marissa Meyer was on mine as well and I am about to start Everneath. I picked Brodi Ashton, too! Loved the tone, characters and mythology. I hope the rest of the series is just as good! Good list! Marissa Meyer didn't make it onto my list, but I've got high hopes for her and the lunar chronicles too! I'm definitely on board with Marissa Meyer. LOVE HER! I discovered George R.R. Martin late last year and spent ALL of 2012 reading books 2-5 of A Song of Ice and Fire. Love it and desperately need more. Marissa Meyer made my list too! First-time commenter... :) I think my work computer with all of its so-called protections is hiding the widget from me, so here is the link to my TTT: http://mininerd.wordpress.com/2012/12/11/top-ten-tuesday-top-ten-favorite-new-to-me-authors-i-read-in-2012/ Your list gave me some new author ideas! I just got done reading Everbound a couple of weeks ago. I really hope you like it. I loved how the story went and I think it sets up the third book very nicely! I'll have to take notes on a few of your authors. I didn't recognize one of them! It was nice to look back though and think of authors who affected me this year. Unfortunately I have yet to read anything by George RR Martin. But he's on my to-read list! Brodi Ashton, Jessica Spotswood, George R.R Martin & Kristen Callihan are authors I hopefully will add to my list soon! :) There books sound really good. Awesome list. Brodi Aston sounds fascinating--I love greek mythology/fairytale retellings so much! Wow! I don't think I have heard of all of your authors, guess I really need to get cracking! Maybe some of them will make my list for next year! I have read exactly zero of your listed authors! My friends keep urging me to pick up the George RR Martin series, but as of yet, I've resisted. They look like something I'd lose myself in for a month and completely forget about the rest of the world. Good choices. I've only heard of a couple of them. Oooo, Jessica Spotswood! I almost added her to my list too. Pretty nifty debut she had there. The only author on this list who I am familiar with is George R.R. Martin. And I haven't read him! I love the game of throne series as well, although I've only read one book lol. Cinder was great and I can't wait to read Scarlet! Thanks for the post! Marissa Meyer is FANTASTIC. I love her. Cinder and Everneath blew me away this year!